Alright, round two of my 2008/09 Be A Player blaster breaks! I just love busting these things! They are quick and easy... and of couse, the price is definitely right. I'm excited again to see who's autograph will come out of this box. Will it be a big name or a no name - let's open this blaster up and take a look. I hope you guys are enjoying these blasters as much as I am! I actually looked into getting a case of these 08/09 BAP blasters for a Retail Review since the price was so reasonable, but we'll see. I do like to keep things interesting by varying the products up, so maybe I'll hold off on that idea... but it's definitely 'on the table' as something I may choose to do. I won't talk too much about this blaster box as I've already said my peace about it in Retail Review #26... crossing my fingers for something great to come out though! Like last time, two packs just zooms by in a flash. I knew my first pack had the autograph in it so I decided to wait on it until the end. I guess it's more exciting that way. I was secretly really hoping for some sort of insert card in the second pack. BAP inserts are pretty rare, so I shouldn't have really expected to get anything... and I didn't! Oh well! I did get a nice base card in the second pack though. It'll show up in my top 3. The first pack also had a pretty good base card too... one that has ties to the one in the second. These two players will be forever linked that's for sure! And as for the autograph, though he's not a big name and on a rival team, I can definitely respect this player for not only has outstanding play, but his strong religious faith. 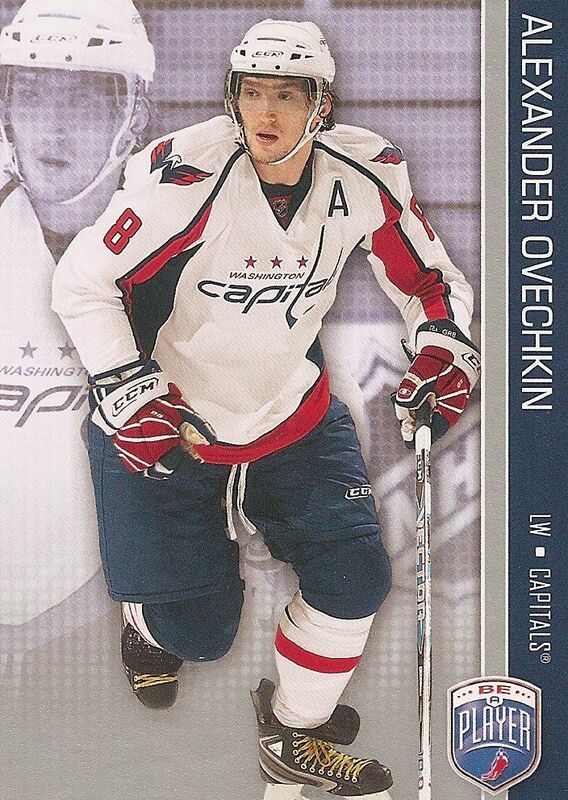 Ovi is one of the biggest names in the league, and he has a ton of superstar flair to everything he does. He plays a physical game, but still has finess in abundance. His production has come down a bit in the past few years, but card-wise, he's still a great player to pull out of a pack. Deja vu! I got Sid the Kid in my last blaster and here he shows up again... and in the two hole once again as well. 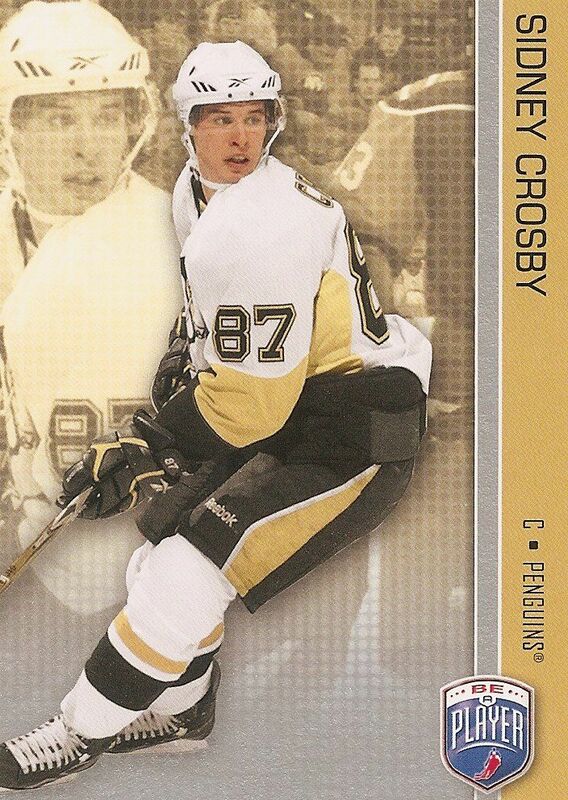 Both Crosby and Ovechkin were the first players I saw when ripping open the blaster packs. I'm sure it was just a coincidence, but it remind me of how closely these players are thought of together. 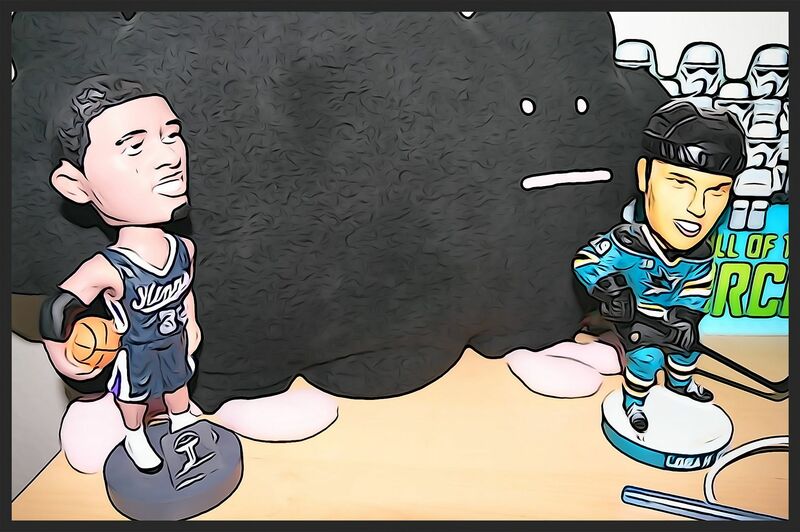 Both have taken very different paths, but both are NHL superstars adored by their fans. 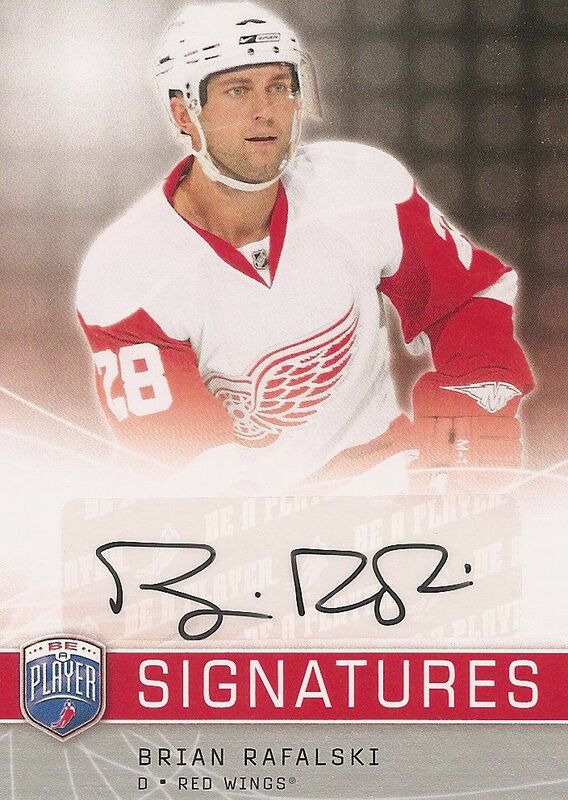 Though he was a Detroit Red Wing player, I don't mind pulling this autograph card from my blaster. 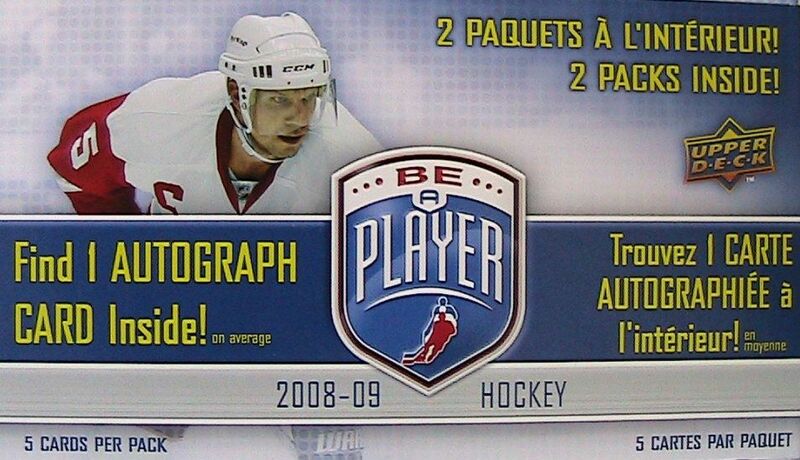 Rafalski was an outstanding hockey player who's career was cut just a little shorter because of injury. That's not to say he didn't have a solid playing career though... cuz he did... and he did it with class. I have to respect him for his play, but actually even more so for his faith. I remember watching his retirement announcement and just being in awe of how humble and down to earth he was. If you'd like to see it, I found a clip of it here: CLICK HERE. Be a Player blasters are a super value. I think they are a fun purchase at $20... but at $10 they are a steal! Though it's hard to get a super star player autograph... they are there! But actually, BAP is great for getting guys that you don't see as much too. 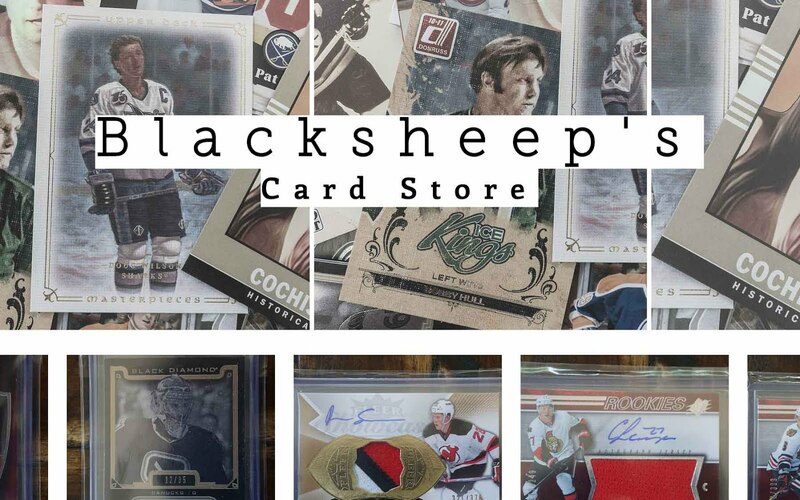 For team collectors, I love the fact that there are players included within BAP that sometimes wouldn't get an autograph card in another card release. That's pretty cool. This particular blaster was enjoyable to open. Though no huge superstar autograph came out, I was very happy with the one I got. I'll always remember that there are good guys in sports... and Brian Rafalski was one of the best... even though he played for the dreaded winged wheel! 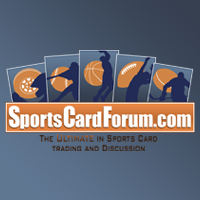 Let me know what you thought of my 08/09 Be a Player blaster box down in the comments below. Have you ever gotten anything good from one of these? I'd love to know!